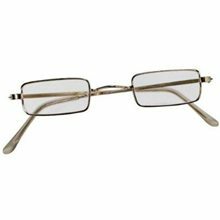 Square Glasses.Includes: One Pair of Square Glasses.Available Size: One Size Fits Most Adults and Teens. *Costume and Accessories Not Included. Sold Separately.Complete your Santa costume with these Square Glasses! 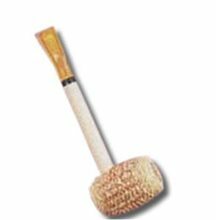 Corn Cob Pipe.Includes: One Corn Cob Pipe. *Costume and Accessories Not Included. Sold Separately.This corncob pipe is the perfect way to complete a Frosty the snowman, Popeye or any costume of your choice. Pointed Ears.Includes: One Pair of Pointed Ears. Available Size: One Size Fits Most Adults and Teens. *Costume and Accessories Not Included. Sold Separately. Pointed ears can be used for many different types of costume ideas including an elf and fairy adult costume. 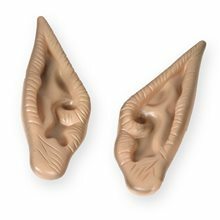 These pointed ears are the perfect costume accessory for your elf or fairy costume.Just slip these pointed ears over your own and you will look the part. Beige in color, they will look just like your own. One size fits most adults. Santa Square Glasses.Includes: One Pair of Santa Square Glasses.Available Size: One Size Fits Most Adults and Teens. *Costume, Beard and Accessories Not Included. Sold Separately.Looking to complete your full Santa look this Holiday? Well then these Santa Claus Square Glasses are for you! Velour Santa Bag.Includes: One Velour Santa Bag.Dimensions: 30 Inches x 36 Inches. *Costume and Accessories Not Included. Sold Separately.Deck the halls with this Velour Santa Bag with drawstring top! Fill it with presents, goodies or anything your holiday heart desires! 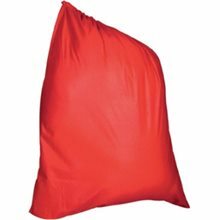 Bag is red, as shown in picture. 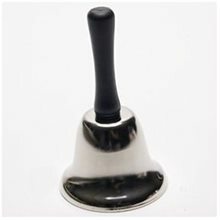 Santa Hand Bell.Includes: One Santa Hand Bell.Dimensions: Approximately 2-1/2 inch Diameter. *Costume and Accessories Not Included. Sold Separately. 4" Christmas Bell.Includes: One Large Santa Bell.Dimensions: Approximately 4 inches in diameter. *Costume and Accessories Not Included. Sold Separately. Angel Harp.Includes: One Angel Harp. *Costume and Accessories Not Included. Sold Separately. Hold the celestial sound of heaven in your hands with our Silver Angel Harp Prop. 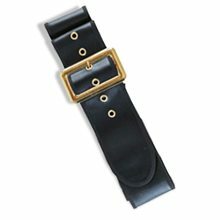 It is a great accessory and hand prop for any angel costume. Our Angel Harp prop is made of silver plastic and features a decorative design around the piece, small bars as strings and decorative pink and silver ribbon streamers. You are sure to be a breath of fresh air at the party with our Angel Harp toy prop in hand and dressed in a beautiful white robe. Hark the herald angels sing! 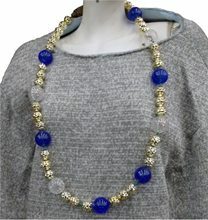 Blue and White Lighted Bead Necklace.Includes: One Blue and White Lighted Bead Necklace.Available Color: Blue and White.This Lighted Bead Necklace has a magnetic quick release safety clasp. Equipped with on (flash)/off switch. Requires 3 "AG10, 8 cell button" batteries (batteries included). LED (light emitting diode) technology for long battery life. Brilliant super bright colors. Cool to the touch.Made in China. Antler Hair Clips Set.Includes: One Pair of Antler Hair Clips.Dimensions: Approximately 3" Tall x 1.5" Wide.WARNING!! : CHOKING HAZZARD - Small parts. Not for children under 3 years of age. 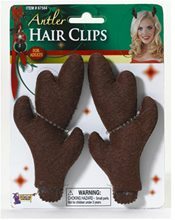 Keep away from open flame.Costume and Accessories Sold Separately.Complete your holiday look with these adorable Antler Hair Clips! They are brown in color and will look great with or without a costume! Not intended for use in play by children under 14 years of age.